Since 1997, over 6000 students have taken dance or music lessons at Angela Floyd School for Dance and Music two different locations, more than at any other studio in West and North Knoxville. Angela Floyd Schools started as a very small school but have grown to become the largest dance and music school in Knoxville. As a parent, Angela realizes you have a choice between several different dance and music schools. All studios are not the same. Angela Floyd Schools constantly renovates and improves their facilities and provides on-going training to their staff to ensure they are always providing their students and parents with the best experience possible. Today, as back in 1997, there are several different studios to choose from. Angela Floyd Schools invites you to compare all of the features and options to see why our studio has been chosen more than any other dance and music school. Angela Floyd Schools is the ONLY studio in East Tennessee named in the TOP 50 in the U.S. by "Dance Spirit" and "Dance Teacher" magazines, and was named KNOXVILLE'S FINEST DANCE COMPANY in 2016 by "Blank Newspaper" ! School Director, Angela Floyd, says that many of the parents choose this school because, in addition to having excellent teachers and programs, it enables parents to have one child in music lessons while another child is in dance classes. Both Angela Floyd Schools have five individual music rooms and two extra-large dance studios, making it possible for parents to have two, three, or even four students in different lessons during the same time. The schools offer many evening and weekend classes to accommodate more students. Between the pressures of homework, sports, and family time, a lot of parents can be overwhelmed by trying to fit in all the activities. Floyd says that many parents and children are so busy that saving forty five minutes to an hour of commuting time a week between activities really helps the typical family’s schedule. (AFS) music program offers lessons in piano, guitar, drums, violin, viola, cello, bass, voice and more, in a variety of musical styles such as pop, jazz, rock, and contemporary. The main focus of the staff is helping students obtain the skills they need to enjoy music long after the lessons are over. One exciting feature of the music program is the ability to record lessons for students to take home and enjoy. In addition to private music lessons, AFS offers Music FunTime, a group music class for ages 2-7. New this year is the AFS group guitar class and group violin class. This program helps the students that either are not ready for private lessons or just prefer a group setting. The school’s dance program offers everything from hip-hop and jazz classes to classical ballet and tap dance. Additionally, the school hosts a specialized preschool program, starting dancers as young as 2 in a ballet and tap combination class. Another successful addition to the dance program is the Acro classes, available for ages 3 & up. Dance classes are offered morning, afternoon, evening and on Saturdays to help busy families fit everything into their schedule. Angela Floyd continues to add quality programs to the schedule and has a proven Preschool Performing Arts Program for ages 3-5. This unique program prepares your little one for kindergarten and offers everything a traditional preschool does academically and then some. The additional experience the students receive is expert training in dance, music, acro, art, french, and more. New this year is our Arts for the Amazing program. This quality program offers students in the Knoxville and surrounding areas of all abilities the chance to dance and achieve goals beyond what they believe is possible. In this supportive, positive environment, students with disabilities are paired with typically developing peers to maximize participation, while encouraging social interactions and relationship-building. This class develops basic dance skills, explores movement concepts, musicality, improvisation, and basic technique in various dance disciplines. Students will learn developmentally-appropriate choreography and explore artistic expression, while working towards functional goals. This class is a great way to develop confidence, coordination, motor skills, team work, and make new friends! Informal performances will be held throughout the year at the end of the normal class time to celebrate the dancers’ progress and achievements. This program also provides volunteer opportunities for teens who dance at AFS. Our youth volunteers learn important lessons in responsibility and friendship by providing one-on-one assistance to a special needs dancer. Angela's parents put her in ballet and tap lessons at the age of three knowing it was her passion, but probably not knowing it would be Angela's life. Music became just as important when Angela turned 9 and began playing the flute. 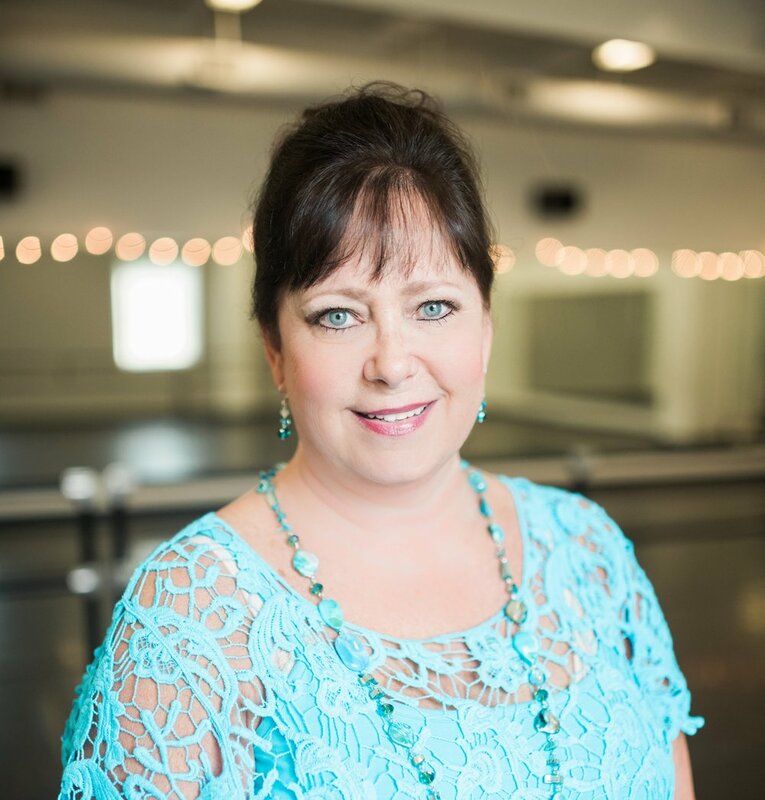 As Angela grew to become one of the youngest principle dancers with The Knoxville Ballet Company and head majorette with The Pride of the Southland Band at UT, many doors began to open. Not only has Angela's choreography been seen for years in front of 107,000 people at Neyland Stadium, but she also choreographed for the Grammy Award winners "The Impressions" for their tribute to Curtis Mayfield on the NBC Tonight show with Jay Leno and many years with the "Seventeen Magazine" fashion shows. In addition, Angela was selected by The City Ballet/Tulsa Ballet and The Moscow Ballet to be their Children's Rehearsal Coach. This past year Angela thought celebrating 20 years in business was amazing, but she wanted to do something more to remember this milestone. She wants to give back to her community and enrich the lives of the Knox County and surrounding area children. She created an exciting and special program called CASH FOR CLASSROOMS. This event along with the support of the Shopper News and friends help give $250.00 to 20 classrooms in the area so teachers could purchase fun items for their classroom that just aren't covered by the school system. Angela and her family pride themselves on offering their students and parents the best quality facility, instructors, and office personnel. The Angela Floyd School for Dance and Music are pleased to have unprecedented customer satisfaction. Dance and Music is Angela's life and it is her passion to share this with you and your family.